Tecno Pouvoir 1 has been launched quietly by Tecno Mobile on their official website. 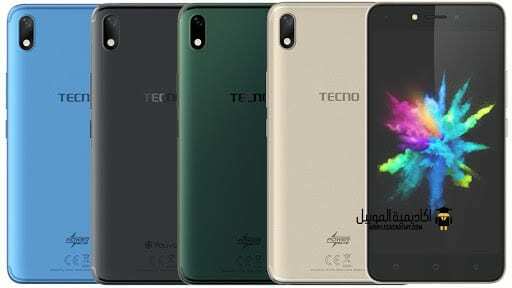 The new smartphone looks like the Tecno Camon X but with vertically placed rear camera and LED flash. The device is powered by a massive 5000mAh battery, which is the highest in a Tecno smartphone. It also boasts of T-point 2.0 feature, a small assistive button that has 8 key functions of the phone. You can also add 8 APPs to T-point and switch between them. This is very convenient, allowing you capture your screen and open selfie mode simultaneously. Want to know more? Stay with me. 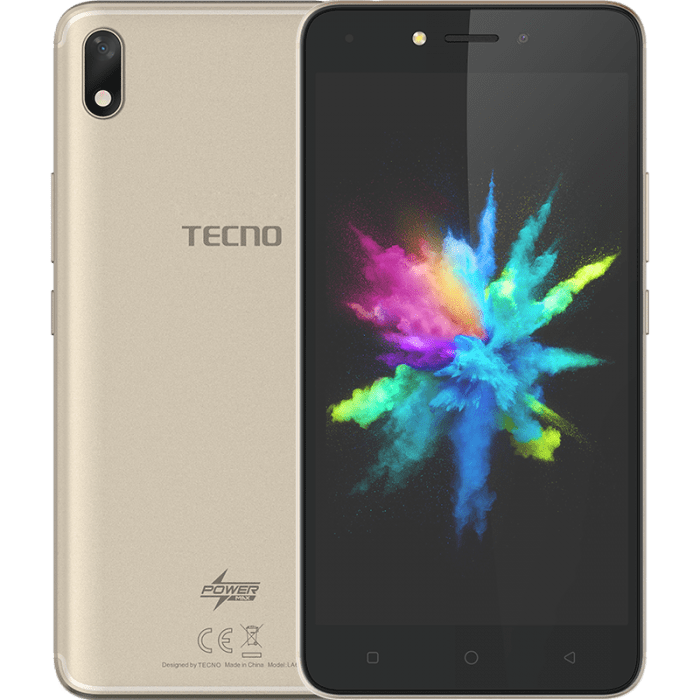 What is Tecno Pouvoir 1 Price and Availability Status? 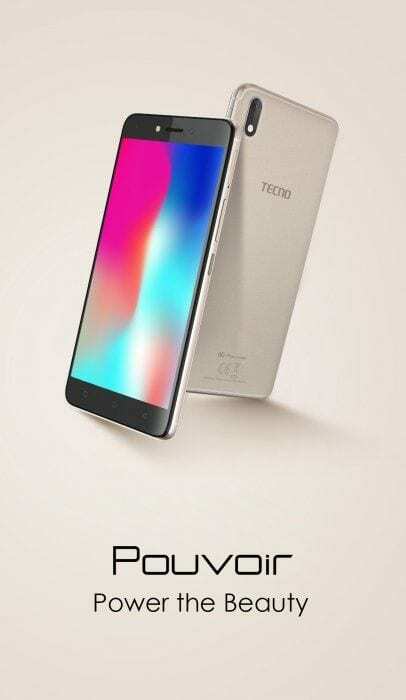 Another stunning beauty from Tecno, definitely loving the new Tecno devices of late. The dual curved antenna lines on this beauty is everything, I love the new placement of the rear camera and LED flash as well. Disappointingly, it doesn’t come with a fingerprint scanner like the Camon series. Nonetheless, it has an attractive body that will definitely turn heads in a gathering. Measuring 8.8mm in thickness and available in Dark Black, Spruce Green, Ice Blue and Amber Gold colors. Just like the POP 1, the Pouvoir 1 ships with a bigger screen as well for big screen lovers. However, it’s not as bezel-less as the new Camon smartphones, but the reduction in bezels is somewhat obvious. It has three navigation buttons on the bottom bezel as well. While a selfie camera, LED flash and speaker grille is visible at the top. The 5.5-inch HD IPS capacitive touchscreen has a resolution of 1280 x 720 pixels and displays stunning visuals. When in landscape mode, it offers taller visuals as well. Tecno Pouvoir 1 houses the MediaTek MT6580 chip with Quad-core processor and 32-bit CPU architecture. The 4-cores of processor runs at the usual speed of 1.3GHz with 28nm process technology. Handling graphics is the ARM Mali-400 graphics processor. As expected, it has just 1GB of RAM space for multitasking, with a memory speed of 533MHz as well. While for storage, a bigger 16GB internal storage space is ready to accommodate more files and apps. The Tecno Pouvoir 1 runs on Android 7.0 Nougat with HiOS skin. Houses an 8MP shooter at the rear with a dual-LED flash underneath for all your photography needs. The AF camera comes with lots of features and captures natural images. At the front, there’s a 5MP selfie camera with 8-level beautify technology for the best selfies. There’s also a front LED flash, letting you capture more selfies at night. Powering the Tecno Pouvoir 1 is a 5000mAh non-removable Li-Po battery with fast charging technology. With the fast charging feature, it shouldn’t take up to 2.1 hours to fully charge up the battery from 0% to 100%. The Tecno Pouvoir 1 is available on Shopping stores from $99 (N35,000) to $129 (N40,000). 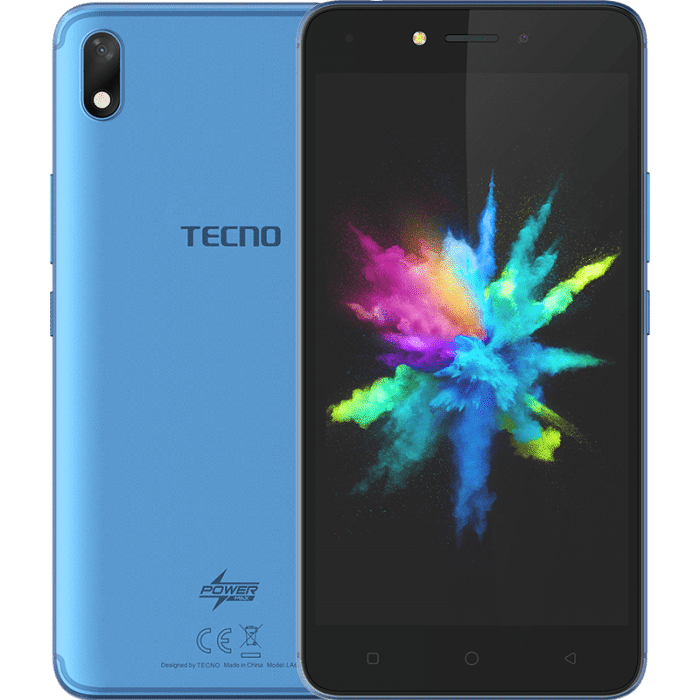 Click on the links above to view the latest Tecno Pouvoir 1 price & availability on Shopping stores.